The seven path labyrinth is the foundation for a nine level geometric hologram, topped with a four petal infinity spire. 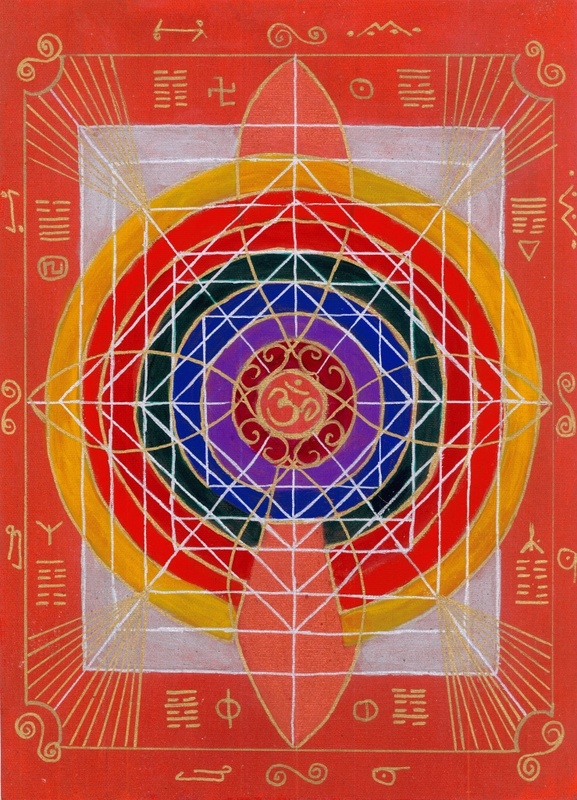 Beams of consciousness information from ancient I Ching and Star Knowledge symbols emanate out into the universe. Feel the symbols energetically, allowing their frequency to move within. From the smallest point in a moment to the unlimited expanse of the macro-universe there are hidden codes, connected to every deed, word and action throughout time. The central Sanskrit symbol of OM is said to be the first vibration or sound/word of creation of the universe. The I Ching Hexagrams represent: (starting with the top left clockwise) …..